Our Lord said, “Let the children come to Me.” (Mark 10:14) Repeatedly throughout Scripture Our Lord speaks of how dear the children are to Him and how He calls them to Himself in a special way. The Children’s Rosary strives to bring children closer to Jesus through the formation of Children’s Rosary prayer groups in parishes, schools and orphanages. Through this time in contemplation of Our Lord’s life at Mary’s side, a friendship can develop and deepen between each child and Jesus. 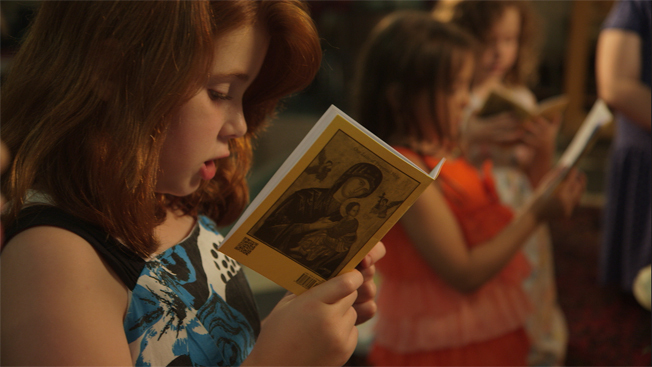 We highly recommended this interview for those interested in forming a Children’s Rosary. If you have questions please contact us. We are happy to help. Please know we are praying for you and your efforts to begin a Children’s Rosary.